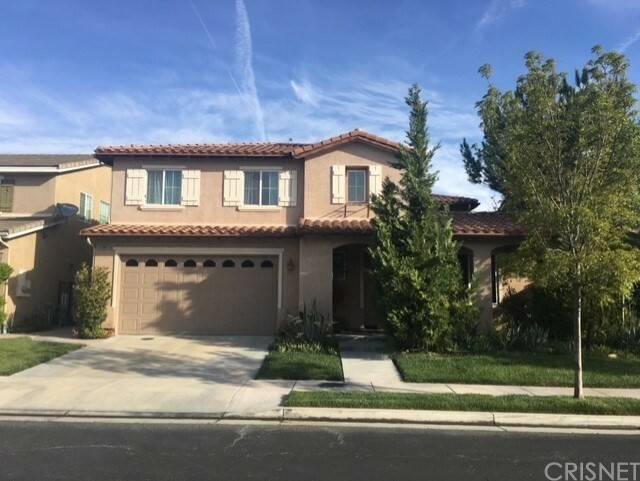 All Newhall homes currently listed for sale in Newhall as of 04/25/2019 are shown below. You can change the search criteria at any time by pressing the 'Change Search' button below. 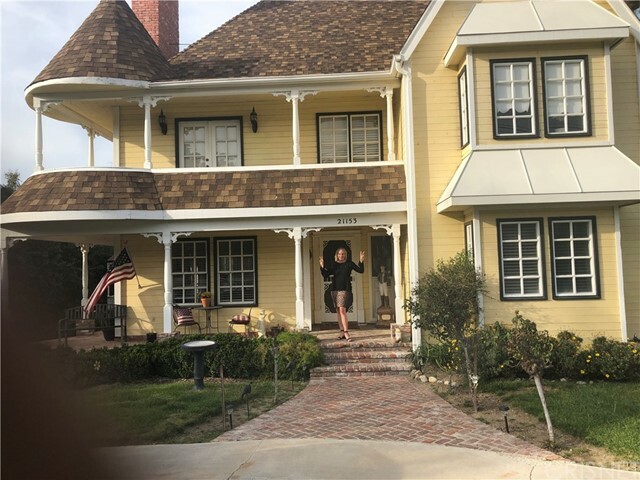 If you have any questions or you would like more information about any Newhall homes for sale or other Newhall real estate, please contact us and one of our knowledgeable Newhall REALTORS® would be pleased to assist you. 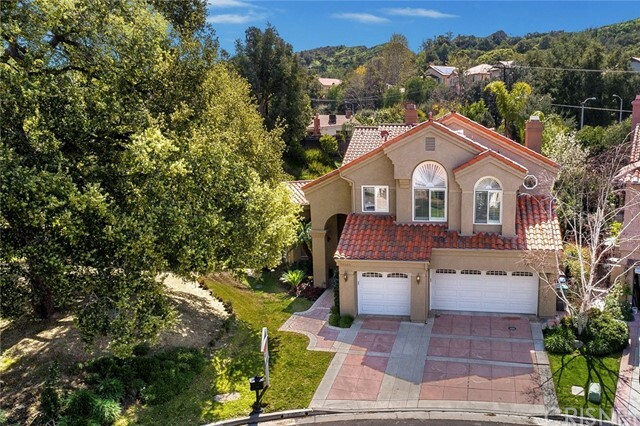 "One of a kind gated Placerita Canyon Estate. This unique property has a fully finished basement apartment with 1,624 sq. ft. and an 800 sq. 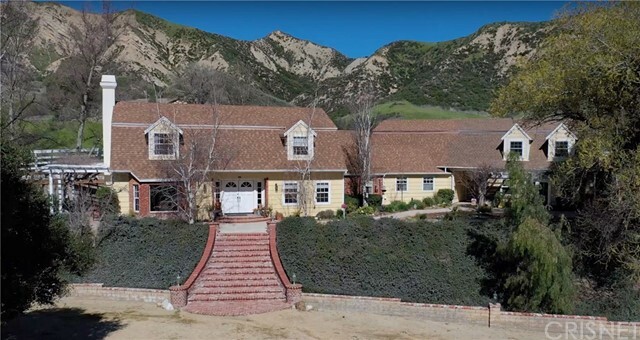 ft. separate guest house all situated on 1.194 plush acres with a regulation size tennis court complete with large spectator area and basketball hoops on both ends for full court action. 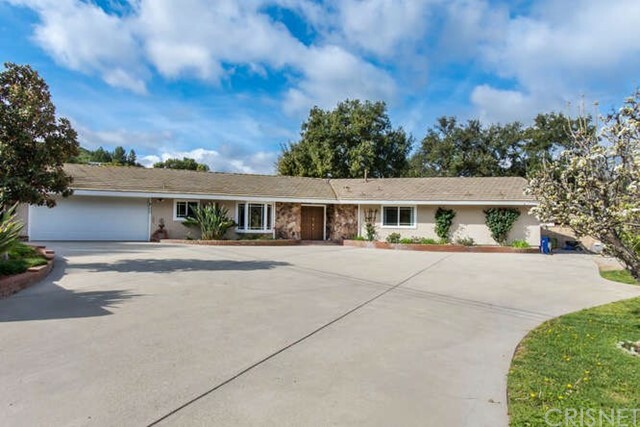 This amazing estate has been completely remodeled with no expense spared. Beautiful designer touches everywhere and lots of Restoration Hardware throughout. Enter the electr"
"Drive up a private gated road and see what nature has to offer at its best. The most beautiful panoramic and unobstructed views. Extreme tranquility & serenity. Built on over 12 Acres of land the Main house offers ample character and charm. It features 4 bedrooms and 4 bathrooms, multi level home with high ceilings, open floor plan & a beautiful back yard with a large swimming pool. This property has endless Opportunities." "Price reduced $75,000. This is the one you have been looking for. View the photos and no more needs be said. 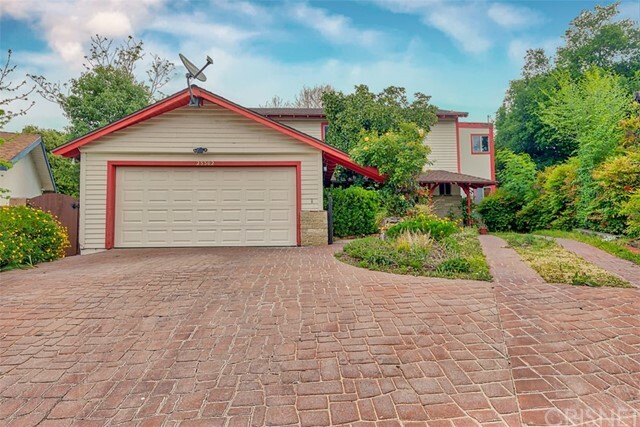 Located in the special standards district of Placerita Cyn. This 3275 sq. ft. custom home built by recognized builder Norris Whitmore has 4 bdrms, 3 baths and sets on 2.5 acres of land. The entrance is gated and opens to a wrap-around drive. Entering the home you are greeted with a beautiful room featuring wood flooring and new carpet. The doorways are 8 ft high and the ceilings are 10 ft"
"Don't miss this opportunity to own your own paradise! Gorgeous mountain views and privacy! Bring your horses, RV, or any of your toys! The barn could be used for you animals or could easily become your workshop. Huge bonus room for your hobbies, business or possible guest quarters. 4-car garage and TONS of storage space! The main house is 3,171 sf and features 3 bedrooms and 3.5 baths. The bonus space over the garages is completely finished, has a full bath and measures approx 900 sf. 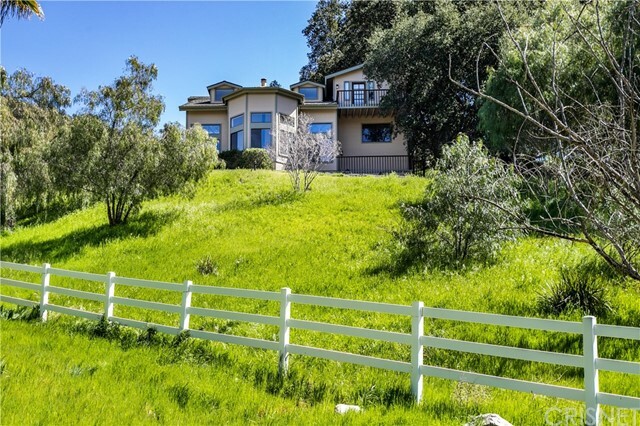 Enter this"
"A slice of paradise tucked away in the heart of Santa Clarita. This home features quick access to the 5 freeway while still providing the quiet and quaint living experience offered in AWESOMETOWN. This rare find features almost 1/3 of an acre flat lot with an entertainers yard that has recently had a $280K renovation! This spectacular outdoor living area comes complete with push-button gas fireplace, (2) 220 electric heaters, custom designed wooden gates, ceiling fan, dimmable lights, matching A"
"Stop the car!! This amazing custom Victorian home with a wrap around porch is nestled on a huge 29,487square foot lot with 4 bedrooms and 3 bathrooms. The kitchen has plenty of counter space and cabinets. The spacious open floor plan makes it easy for entertaining with a living room and family room, both have fireplaces. The master bedroom suite also has a cozy fireplace and the master bath has dual sinks a separate shower with clawfoot bathtub. The backyard features a pool, spa and a grassy are"
"NO HOA OR MELLO ROOS! CONNECTED TO PUBLIC SEWER! 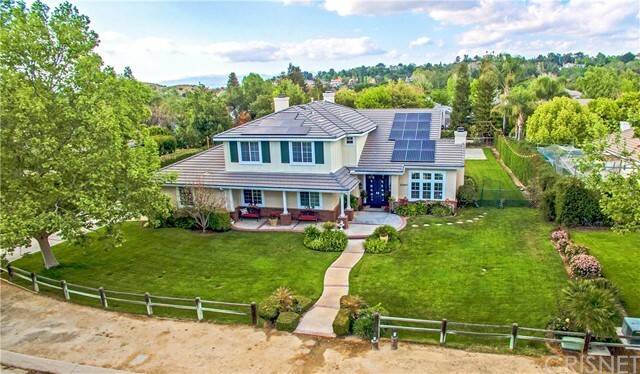 Placerita Canyon estate home with solar on over a half an acre flat lot. The amazing flat usable backyard is great for entertaining. There are several patios, a sport court, above ground spa, built in BBQ, gated RV access, and extra large driveway to the 3 car garage. The grounds are like a private park and can easily be used for horses as well. This home has space for all your needs. As you enter the home there is double height ceilings with a gr"
"Unmatched privacy close to the city. 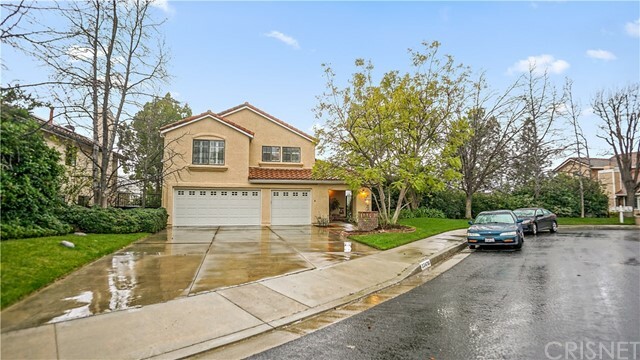 This spacious 3 bedroom, 3 bathroom home is perfect for those who have been craving their mountain oasis yet require really quick and convenient access to the 14 freeway for their commute. With a 3-car garage, backyard with private pool and spa, Viking bbq, newer air conditioning units, and hardscape patio with panoramic views of the mountains. Dine al fresco under the shade of beautiful oak trees on a second patio. Park your vehicles or store your stuff out "
"This elegant home is a reflection of uncompromising good taste in the charming Peachland Estates featuring custom built homes. Breathtaking panoramic views add to the appeal! Step down formal living room from the travertine tiled entry, with stone fireplace, stained glass window and vaulted ceilings! Formal dining room off living room. Outstanding kitchen with ample rich dark wood cabinetry, granite counter tops, work station desk, breakfast bar and breakfast nook! Kitchen opens to family room f"
"Charming CUSTOM English Tudor style home on quaint street in the Peachland Estates area. 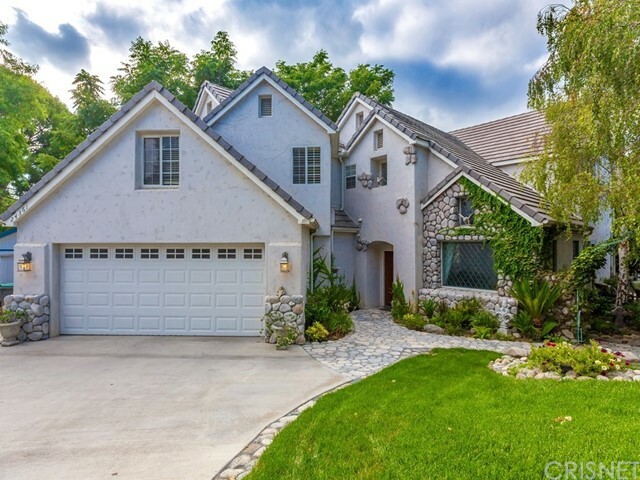 Stunning curb appeal and exquisite architectural details make this a one of a kind home. 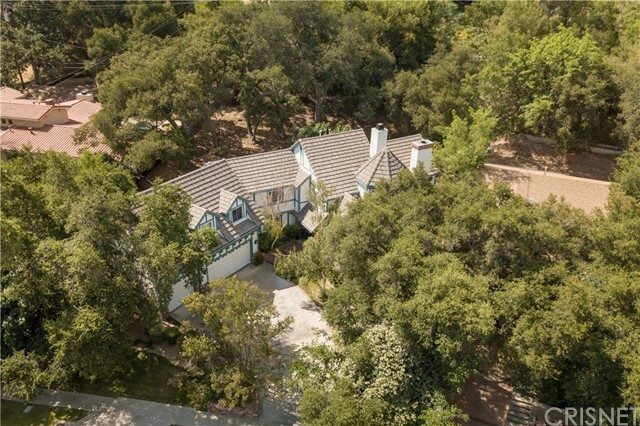 Situated on a large lot with oak trees for character, shade, and privacy, this 3567 sq ft home has 5 bedrooms and 4 bathrooms, and a huge 3 car attached garage. Built in 1989, this home was lovingly designed and cared for by the original owner. 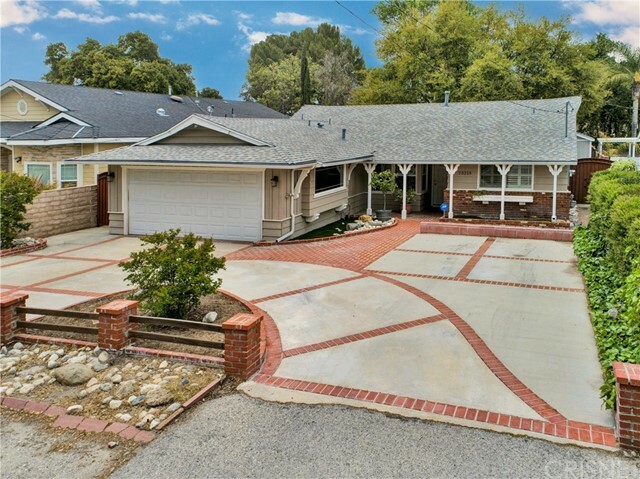 Perfect for entertaining, the gourmet kitchen is central in the home with an "
"Custom Built, Classic California Ranch Home In Newhall's Happy Valley Community. This gorgeous, well-maintained property is an entertainer's delight featuring a wide-open floor plan designed to promote great flow between the great room, dining area, kitchen and back yard pool area. The kitchen features granite counters, stainless steel appliances, two ovens, wine chiller fridge and an island that doubles as a serving and eating center. 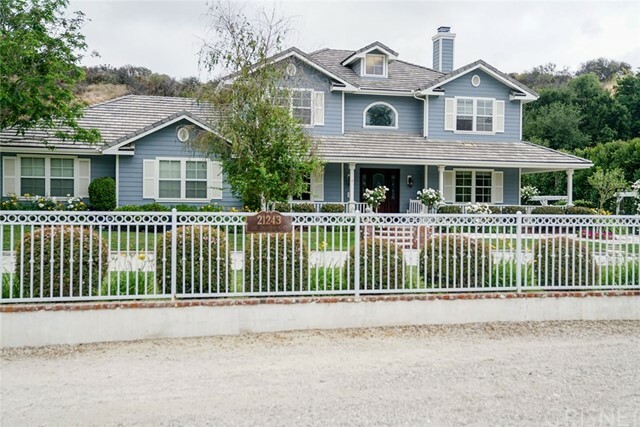 The huge pebblectec-style pool and spa are perfect for our l"
"Beautiful Santa Clarita VIEW Home for sale, located in Hidden Valley, just off of Calgrove Blvd and Creekside Drive in Newhall. 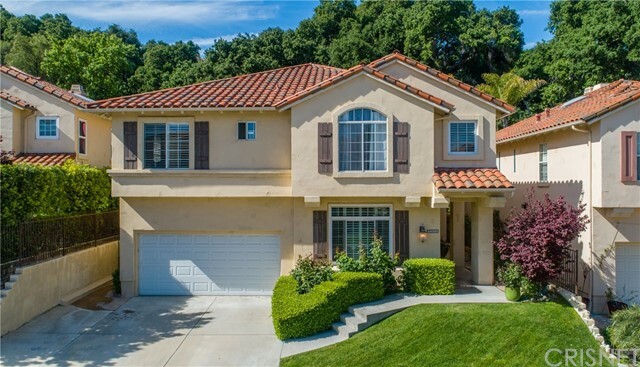 This home is located at the end of a cul de sac with a large yard and features 3,242 square feet with 5 bedrooms and 4 bathrooms, including an in law suite in the lower level, a three car garage, and absolutely gorgeous views!! The floor plan features formal living and dining room, open kitchen and family room on the main entry level. The private guest suite with a sepa"
"Pristine condition in highly desired gated community family home at Canyon Gate. This beautiful and very clean home has it all! Grand high ceiling entry, beautiful living room, spacious family room with fireplace, recessed lights, all 5 bedrooms equipped with quality ceiling fans. First floor guest bedroom or private office with full bathroom. Gourmet kitchen with granite counter tops, upgraded kitchen cabinets and granite center island. Flooring has high quality carpet, engineered wood and trav"
"HUGE PRICE REDUCTION- MOTIVATED SELLER!!! Newly remodeled contemporary home with innovative design, endless upgrades, and quality craftsmanship. Located in a quiet Cul-de-Sac, an abundance of natural light welcomes you to the home with soaring vaulted ceilings and a spacious open floor-plan. Featuring 4br( 1 bedroom downstairs), 3 full baths, 2,606 sqft of spacious comfortable living space, new recessed lighting, higher end laminate wood flooring, new carpet, and new windows throughout. 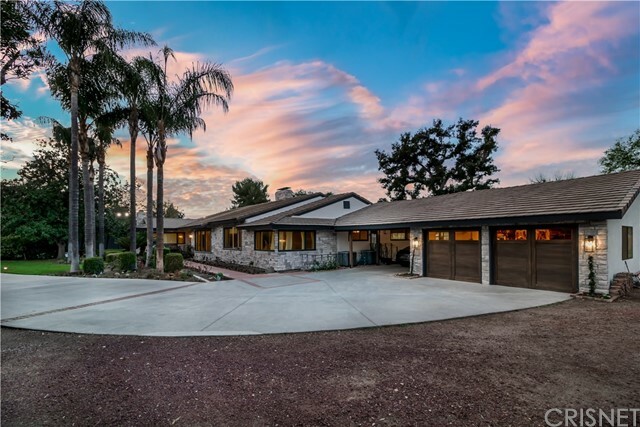 Chef's k"
"Tastefully remodeled single story Happy Valley ranch home offers a light-filled open floor plan with 4 spacious bedrooms, 3 bathrooms, and an entertainers dream backyard. The large living space is tied into a gourmet kitchen with updated cabinets, quartz countertops, stainless steel appliances, and plenty of storage. The laundry room is located inside, new window shutters in every room for privacy, finished 2 car garage with large storage attic, large driveway that can fit your RV/Boat/ATVs. 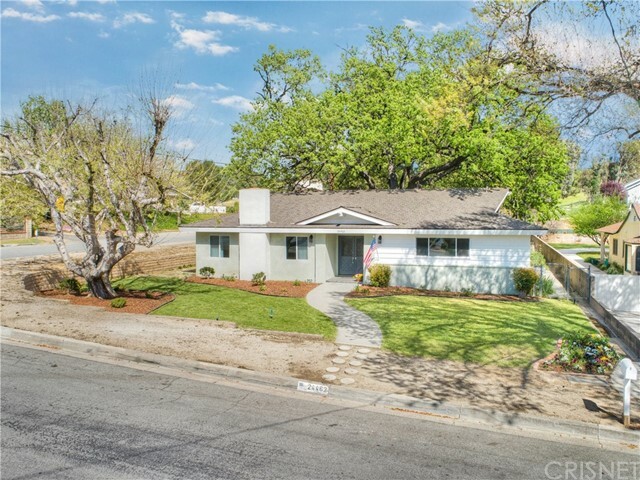 The"
"Happy Valley 3 + 3 Home Single Story Completely Remodeled with RV Parking, No HOA, and No Mello-Roos. Open Floor Plan with over 2,000 SQFT of living space, stunning center island kitchen with new KitchenAid stainless steel appliances, farm sink, pendant lighting, custom backsplash and is off of the family room, living room and dining area which all look out to the park-like backyard. The interior highlights new HVAC, new flooring throughout, new dual pane windows and doors. 2 car finished detach"
"Could it be?.. 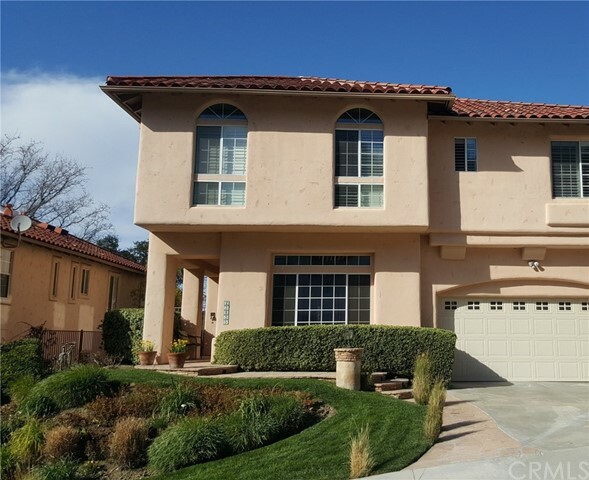 Spacious, spectacular home located minutes off Calgrove on a quiet cul-de-sac. Come home to Santa Clarita. This lovely two story gem offers a private back yard with fire pit upgraded stone work, lots of green mature trees including an oak. - Take a stroll down the street and you'll find a quiet dog park and the HOA pool/spa. Perfect for relaxing after a long day! Shutters throughout beautiful wood-like floors downstairs, granite counter tops in kitchen, warm cozy fireplace in fami"
"End of Cul de sac in Happy Valley. Big home on a large lot with RV or boat parking. This home has a good size family room with fireplace and extra large master bedroom. The backyard is like a tropical oasis with lots of shade for the warm summer months! 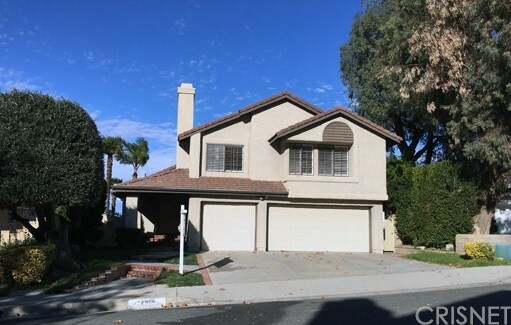 Needs updating"
"Home for Sale in the Happy Valley area of Newhall! NO HOA or MELLO ROOS! This private home is located at the end of a flag lot which provides lots of privacy, it is gated and features 4 bedrooms, 3 baths which includes a bed/bath downstairs. There are too many upgrades to this pristine home to list! 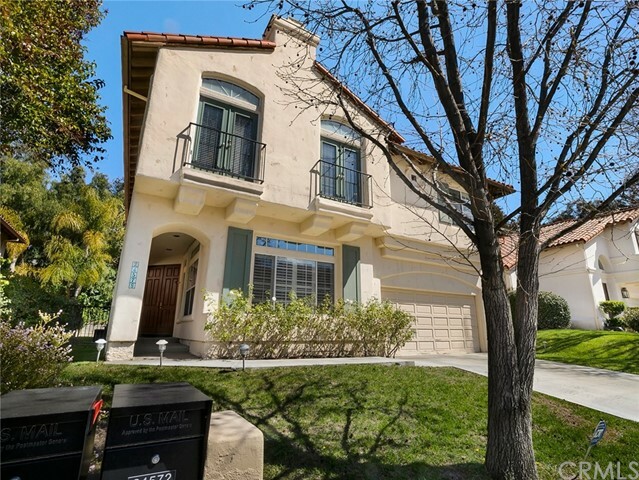 Features include but not limited to downstairs bathroom & bath w/ shower, RV parking, beveled glass windows, french doors, crown moulding, custom paint throughout, slate and hardwood floors, traverti"
"Stunning home located conveniently near 5 freeway! Enter into the home and be greeted with high ceilings. A spacious formal living room is off to the right with large windows which bring in lots of light. A separate dining area is off of the kitchen and open to the formal entry. Kitchen has large island, granite counter tops and oak cabinets. The family room is cozy with a warm fireplace. All bedrooms reside upstairs. Master bedroom is grand with lots of space for a personal office or sitting ar"
"Reduced 4/1 NOW $722,000. Seller looking for offers!Beautiful two story executive home with architectural flare in the desirable Oaks Community! 5 brs, 4 ba, 3,247 sf.ft. Beautiful flooring, high ceilings, skylights, remodeled bathrooms, laundry upstairs & plantation shutters. All bedrooms upstairs. Double door entry welcomes you to an open family room with wet bar close to living room with gas burning fireplace which is open to a gourmet kitchen with shutters. Beautiful french doors to the left"
"Spectacular views. Gorgeous Remodeled kitchen, granite counters, stainless steel Kitchen Aid appliances. Elegant Formal Dining Room. The kitchen, breakfast bar, breakfast dining nook & family room create a great cozy family gathering space! The formal living room is used as a huge game room with high vaulted smooth ceilings, recessed lighting & plantation shutters. Beautiful travertine tile & distressed hardwood flooring. Remodeled hardwood staircase railings. Enter the huge master bedroom thru "
"REMODELED Happy Valley 3+2 Single Story Home with Premium Upgrades Throughout, RV Parking, NO MELLO-ROOS & NO HOA! Open floorplan w/over 1,700 SQFT of living space, upon entering this stunning home you will find an upgraded cooks kitchen w/granite counters, custom backsplash, shaker cabinets, double oven, stainless steel appliances and opens up to the spacious dining area, living room and addition (which is currently being used as a den). The interior features new plantation shutters throughout "
"HAPPY VALLEY AT IT'S FINEST!!! Rare Find Indeed! Fantastic, Highly Sought After One Story Home Nestled in the Heart of Happy Valley! 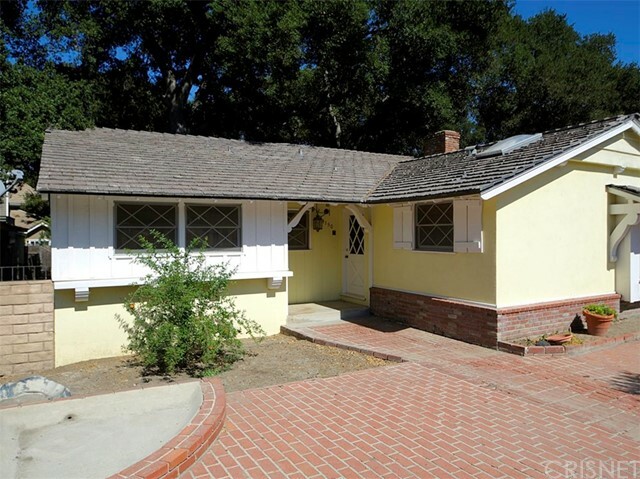 This Gorgeous Vintage Home is Nestled Among the Oaks on a Quiet Tree Lined Street. If Privacy is What You Seek, This Home Will Not Disappoint You. Happy Valley Provides a Country Feel But Is Conveniently Located Near Shopping, Restaurants, Parks, Freeways, and Schools. This Home Features 3 Bedrooms, 2 Bathrooms, and an Amazing Open Floor Plan that Screams Entertain"